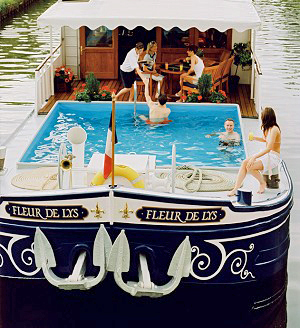 BELMOND FLEUR DE LYS is a 6 passenger, one-of-a-kind boutique barge cruise that is a feast for the eyes. With its exotic and elegant décor, the ambiance is pure luxury combined with a relaxed atmosphere of comfort and warm hospitality. 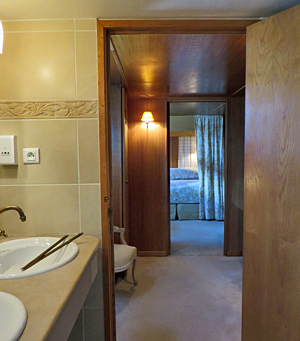 Large suites with dressing rooms are enhanced by the bright ensuite bathrooms with two sinks. The attentive staff of six cares for your every need while gourmet food and fine wines grace each meal. This charter barge is ideal for intimate gatherings of friends and family who appreciate fine living in the most luxurious accommodations. 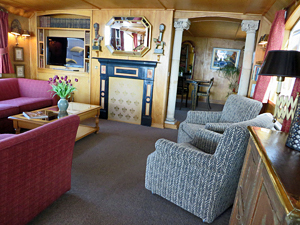 All barge amenities including bicycles and jacuzzi on deck, music system, library, etc. 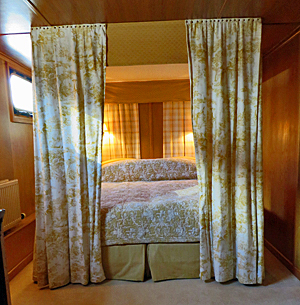 Cabin Size: 260 - 320 sq. ft. Guests are met in Paris at a pre-arranged meeting point and driven to the Fleur de Lys in Dijon. A champagne reception welcomes you on board the barge moored at Dijon's Port du Canal for your cruise through Burgundy, and gives you a chance to meet the crew. A delicious dinner is served later that evening. Leaving Dijon, the canal follows the river Ouche where small-unspoiled villages and green, forested hills provide exceptional views from the deck. Spend the morning walking, or perhaps cycling along the tow path. This afternoon's excursion is a dégustation in Vougeot and a visit to "Clos de Vougeot", a medieval château and the headquarters of the Chevaliers du Tastevin, whose special label is awarded annually to the finest Côte d'Or vintages. The barge moors for the night in the small village of Fleury-sur-Ouche. After a wonderful French style breakfast, your guide takes you on a walking tour of Dijon including a visit to the Ducal Palace, the market and the Grey Poupon mustard shop. Enjoy some free time for shopping at the many wonderful shops in town, or perhaps just sit in one of the numerous outdoor cafés and simply watch the world go by. Return to the boat for lunch and an afternoon's cruise to the charming village of Gissey. This is a truly stunning part of the canal, sit back and watch the ever changing scenery glide by. Mid-morning, disembark the boat for a visit to l'Abbaye de la Bussière, which was built in the 12th century under the guidance of the Cistercian monks from Citeaux. Enjoy a tour of the grounds and have lunch in the one Michelin star restaurant. In the afternoon, a short drive takes us to the charming hilltop village of Chateauneuf en Auxois, where we can visit the 12th century castle and take in the splendid views over the surrounding countryside. Return to the barge in the early evening in La Bussiere. 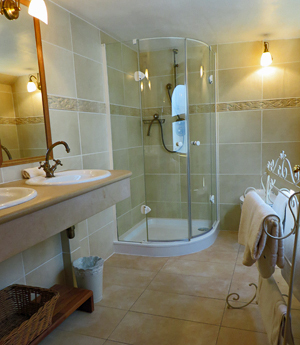 Relax with a morning cruise through the rolling hills of the Ouche Valley to Pont d'Ouche. After lunch visit Beaune, capital of the wine region of Burgundy and home to the famous Hôtel-Dieu, a magnificent 15th century charity hospital. There is free time for shopping or strolling through the cobbled streets of this lovely town. 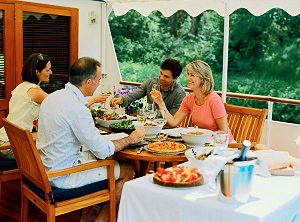 Sample some of the local wines before returning to the barge. Our final cruise of the week takes us to the ​petite hamlet of Vandenesse, then after lunch visit Chateau de Pommard, a splendid estate set among the vines of the Cote de Beaune. Enjoy a private tour of the cellars and a tasting as well as taking in the fine art exhibition. Meanwhile the chef is preparing your farewell gala dinner on board. After breakfast, you’ll be chauffeured back to Paris.